Residents of Vaughan, one of the fastest growing communities in Canada during the early 2000s, enjoy close access to downtown Toronto, about 25 minutes away, depending on traffic. 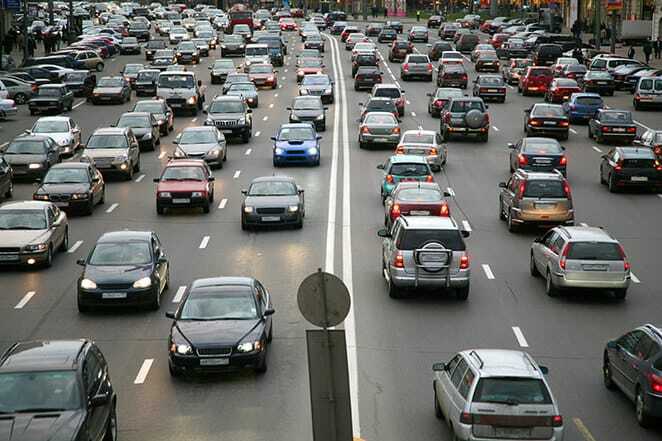 Traffic, however, is one of the major problems for the city of nearly 300,000. Due to congestion, insurance claim rates and the number of accidents in the area, Vaughan drivers pay some of the highest car insurance rates in the country. A 35-year-old male motorist, living in downtown Vaughan and driving an 8-year-old sedan pays $2,150 for car insurance, based on a clean driving record. This is over twice what the same driver would pay in the Kitchener-Waterloo area, about an hour to the west, for equivalent coverage. Drivers with less than perfect records can expect to pay more. Car insurance fraud, thought to be prevalent in Vaughan and Brampton, its eastern neighbour, is another contributing factor. Often working in teams, insurance fraud perpetrators stage accidents, boost towing charges and involve complicit car repair facilities and medical clinics. Costing Canadians an estimated $1.2 billion annually, fraud shows up as expensive insurance claims in geographic areas. Vaughan is one of the hardest hit regions. The table below shows Vaughan car insurance cost for a sample driver. We surveyed the car insurance prices in the city of Vaughan for the purpose of illustrating the range in quotes based on driving record, location, and other criteria. To get a customized quote, enter your postal code above. Since a motorist’s home postal code determines much of the basic cost of car insurance, it’s a factor that is out of a driver’s control. Similarly, age and gender may affect auto insurance premiums. Blemishes on a driver’s record can be removed, but only with time. It may seem that the odds are stacked against a Vaughan motorist. There’s no magic solution to bring car insurance rates down to the levels enjoyed by other areas of the province, but some factors remain under the driver’s control. Third Party Liability: protecting an at fault driver from lawsuits arising from an accident. Accident Benefits: medical and rehabilitation expenses in excess of provincial health coverage, paid by the driver’s own insurance company on a no-fault basis. That is, the driver’s insurer pays whether the driver is at fault or not. Direct Compensation Property Damage: in certain cases, the driver’s own company covers repairs or loss to the driver’s vehicle, if the driver is not at fault. Unidentified/Uninsured Motorist: in hit and run accidents or collisions with uninsured vehicles, this class pays for damage or repair for which the other driver would usually be responsible. Mandatory coverage does not include collision or comprehensive insurance. These options are required when a motorist finances a vehicle purchase. Banks as well as other loan agencies usually insist on such protection. Deductible limits permit some control over insurance premiums. When a driver chooses a high deductible, insurance rates go down. The driver pays more to repair a car after an accident, but pays less each month for insurance. Low deductibles obligate the insurance company to pay more for repairs, so premiums rise for such a policy. Many other options to customize coverage are available. Each company has its own selection. There is no standard range of options. Vaughan drivers can reduce insurance premiums when qualifying and requesting premiums from their insurer. As with optional endorsements, every insurance company chooses what discounts they offer. Perhaps the most common type are combination discounts. Insuring both your home and car with the same company usually generates savings for both. Households with more than one car may see similar savings. Every insurance company is different in both features and rates. Comparison shopping is the best way to determine the lowest prices available for desired coverage. Highways 400 and 407ETR provide high volume controlled access corridors for the Vaughan area. Highway 400 connects to Highway 401 in the south. The 400 runs north to Barrie and beyond. The 407ETR parallels the route of Highway 7, which remains open access through the city. The 407ETR is a privately-maintained toll road that uses electronic detection or licence plate photos to observe vehicle usage. There are no toll booths along its route. Besides Highway 7, Rutherford Road and Major Mackenzie Drive provide the main east-west arteries between Brampton and Richmond Hill, through Vaughan. Langstaff Road has limited access to the 400; a northbound off ramp and southbound on ramp. The Canadian National MacMillan Rail Yard interupts Langstaff Road’s route. Teston Road is similarly interrupted by a ravine. The City of Vaughan lists road work, including closures, on its website. The Ministry of Transportation for Ontario includes York Region in its 511 Traveller’s Road Information listings. This online traffic report includes road work, lane closures and other conditions affecting traffic in the region. York Region provides similar road closure information for streets and roads falling under its jurisdiction. The Weather Network provides televised weather reports through local cable systems. Online weather reports for Vaughan and area are also available. DriveTest driver examinations for the Vaughan area occur at the centre at 320 Harry Walker Parkway South in Newmarket. 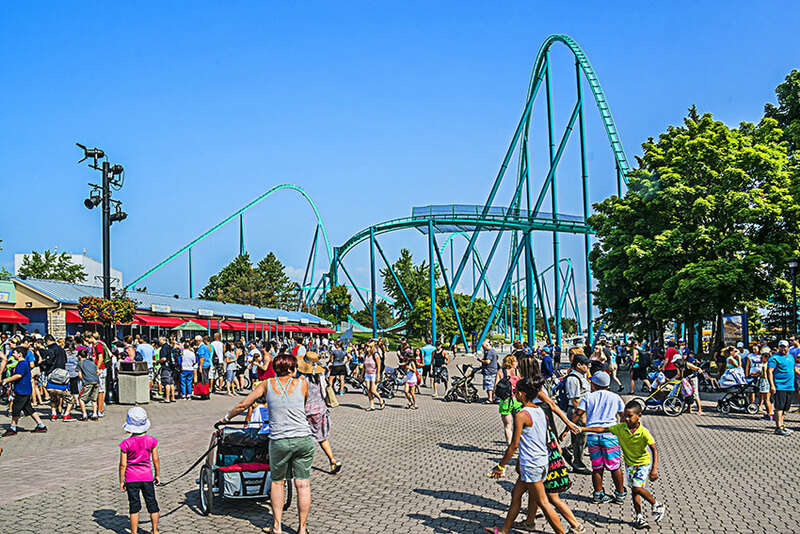 Canada’s Wonderland amusement park sits between Rutherford Road and Major Mackenzie Drive along the east side of Highway 400. During its season, traffic on both roads as well as Jane Street, which supports the attraction’s parking lot. Due to its proximity to Toronto and its role as a support community for the larger city, Vaughan experiences heavy traffic on all roads during peak rush hour periods. Holiday traffic on Friday and Sunday afternoons and evenings can back up the 400 anywhere through the city, particularly in the summer. Highway 407ETR provides access as far as Burlington to the west and Pickering to the east. Plans to extend the 407 to Highway 115 are underway. The best way for Vaughan drivers to find the lowest cost insurance uses Ratelab’s car insurance calculator. In just a few minutes, the calculator provides up to ten lowest cost quotes matched to your car insurance needs. Enter your home postal code below to start. Do Car Insurance Companies Check Addresses? Financed VS Owned: Does It Affect Insurance?